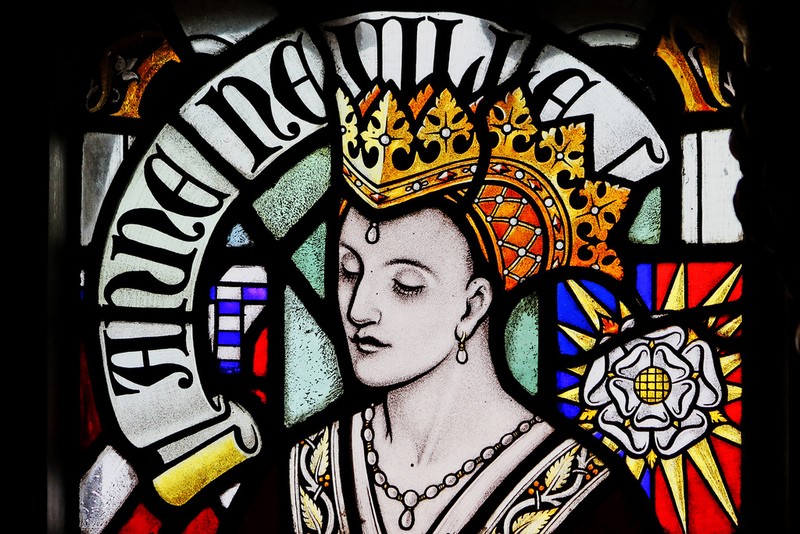 Anne Neville from Cardiff Castle. Today, 16 March, in 1485, the death of Lady Anne Neville at Westminster Palace at the age of 28. Anne was Queen consort to Richard III from 26 June 1483 until her death. Anne was a younger daughter of Sir Richard Neville, 16th Earl of Warwick and 6th Earl of Salisbury, known in history as ”the Kingmaker”, and Lady Anne Beauchamp, suo jure 16th Countess of Warwick. 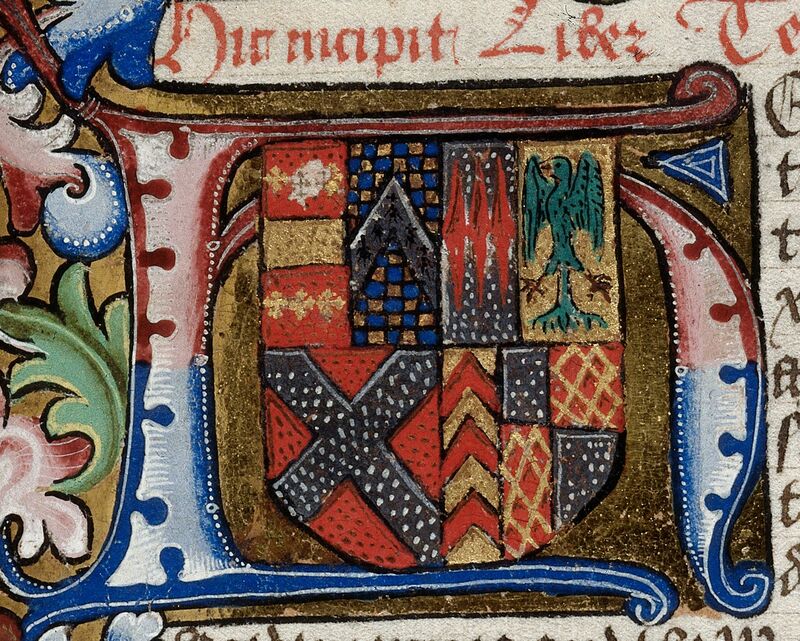 Anne was betrothed to King Henry VI and Queen Margaret’s son, Prince Edward as a truce between the Lancastrians and Warwick and Clarence, when being exiled in Brittany. Shortly after Warwick’s defeat at Barnet, on Easterday 1471 Queen Margaret and Prince Edward returned from France and were decisively defeated. Prince Edward was killed in the battle of Tewkesbury, and King Henry VI was executed soon after, making Anne widow at the age of just 15. St Katherine by the Tower, Middlesex, England – Queen Anne (Neville) consort of King Richard III from 1483 France modern quartering England; impaling: Quarterly of eight, 1: Checky or and azure a chevron ermine (Newburgh); 2: Gules a fess between six crosscrosslets or (Beuachamp); 3: Argent three fusils conjoined in fess gules (Montague); 4: Or an eagle displayed vert (Monthermer); 5: Gules a saltire argent and a label of five points or (Neville) [label should be compony argent and azure]; 7: Or three chevronels gules (Clare); r three chevronels gules (Clare); 8: Quarterly argent and gules a fret or a bendlet sable (Despenser). Luckily, Anne’s sister Isabel and her husband Clarence agreed to take in Anne and by 1474, Anne was married to Richard Duke of Gloucester. After the death of his brother, Edward, Richard became Lord Protector of the Realm for the young King Edward V. Edward V and his brother, Richard, the Duke of York, were taken to the Tower as was custom before a Kings coronation. Things unfortunately did not go as planned. The two boys were declared illegitimate under an Act of Parliament by the Lord Protector in 1483. With the Act now in place, the Lord Protector took the throne and crowned himself King Richard III of England. Lady Anne was crowned Queen of England with him in Westminster Abbey on 6 July in a joint coronation. Richard and Anne had one son; Edward, Prince of Wales. The young prince died on 9 April 1484. 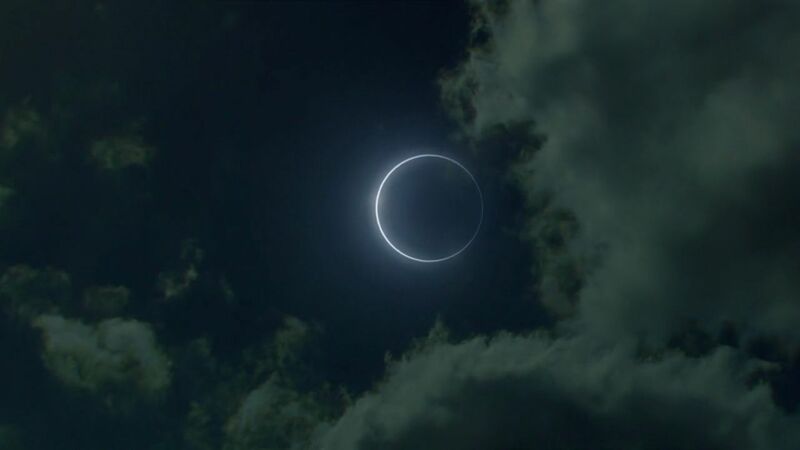 The Eclipse as portrayed in the the BBC TV Series, ‘The White Queen’. Soon after Christmas of 1483, queen Anne became ill. By early 1485, Anne was spending less time at court functions. These absences lead to speculation that the queen was already dead. After the death of her son, Anne’s mental health, no doubt, suffered which could have contributed to the slow decline in health. There were also rumors that Richard was going to kill Anne with poison so that he could marry his niece, Elizabeth of York. This of course, has only been speculation and there are no contemporary sources to prove this. However, the symptoms of Tuberculosis were present in Anne’s last few months; fever, breathlessness, night sweats, coughing up blood, weakness, weight loss and anorexia. Another possibility was cancer. Physicians during this time did not understand illness. There was always some remedy invented that in some cases just made patients worse. The doctors, perhaps, may have tried to prescribe garlic and the poisons Mercury and arsenic. To any modern reader, we know today that Mercury and arsenic are toxic and can kill you. Never the less, Anne died on 16 March 1485. Some sources record that she passed away during an eclipse of the sun. The York dynasty used the brilliant sun as one of their motifs — in all its splendor. The eclipse was seen as prophecy for the future of Richard’s reign. 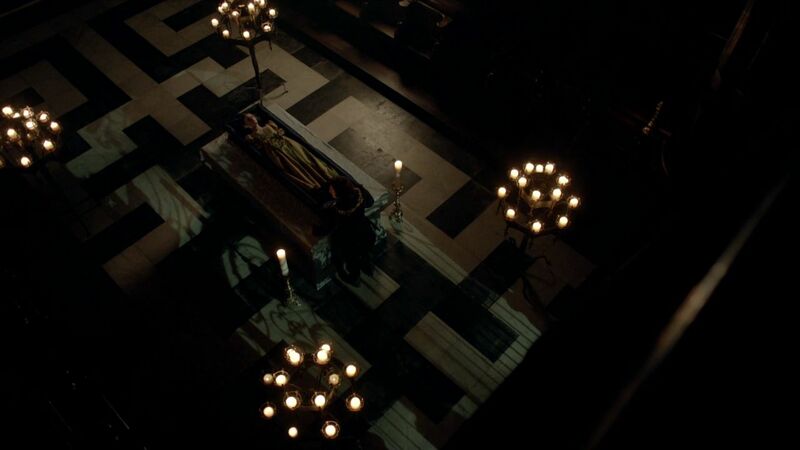 Queen Anne lying in state as portrayed by the TV series, ‘The White Queen’. Anne had a magnificent funeral and was buried on the southern side of the Abbey near the altar. No stone or monument marked her grave, possibly because Richard was killed that year at Bosworth. ANNE NEVILL 1456-1485 QUEEN OF ENGLAND YOUNGER DAUGHTER OF RICHARD EARL OF WARWICK CALLED THE KINGMAKER WIFE TO THE LAST PLANTAGENET KING RICHARD III. In person she was seemly, amiable and beauteous … And according to the interpretation of her name Anne full gracious. Requiescat in pace. Amy Licence. Anne Neville: Richard III’s Tragic Queen, Amberley Publishing, United Kingdom, 2013. pg 200-05. This entry was posted in The Family of Katherine Parr, The Plantagenets (1154-1485), The War of the Roses (1455-1485) and tagged Anne Neville, death of anne neville, queen anne, Queen Anne Neville, queen to richard iii by tudorqueen6. Bookmark the permalink.